Italians do not let anything go to waste, especially when it comes to food. Things like Panzanella (a salad made with stale bread as its base), or Polenta (boiled cormeal that could be served in a variety of ways). But what about foods that seem inedible? Things like bones and cheese rinds may not seem too appetizing, especially when most of us can go to the store and buy more of the meat that was on that bone, or the cheese that was in that rind. The world didn’t always have these conveniences, however, and the need to repurpose leftovers or use the entirety of a product has lead to some of the most delicious dishes in culinary history. Read on as we take a look at three major “waste” products you may find leftover after your next Italian feast, and tell you what to do with them! 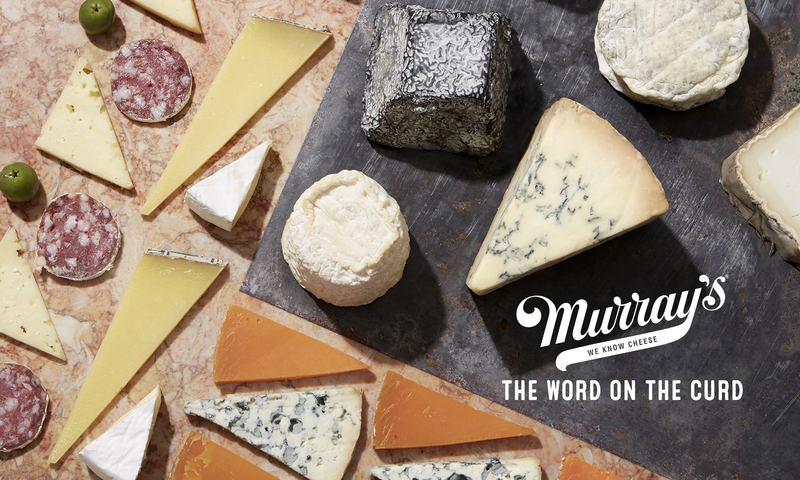 Most people see the rind of a cheese much as they see the wrapper of a sandwich, something that is purely there to protect the “good stuff” and to be thrown out when it has served its purpose. Something like the rind of a wedge of Parmigiano Reggiano may sometimes fall victim to this idea. But something so delicious should be fully enjoyed right? And you paid for the rind, so you may as well use it. This rind is naturally made and edible, but is a bit tough, and maybe not as flavorful as the cheese it protects. There are a couple of things you could do with these overlooked pieces, but our favorite is to add it to a simmering tomato sauce. One of the greatest things in this world is a red sauce (Gravy or Ragu based on the region) cooked low and slow for many hours on the stove. 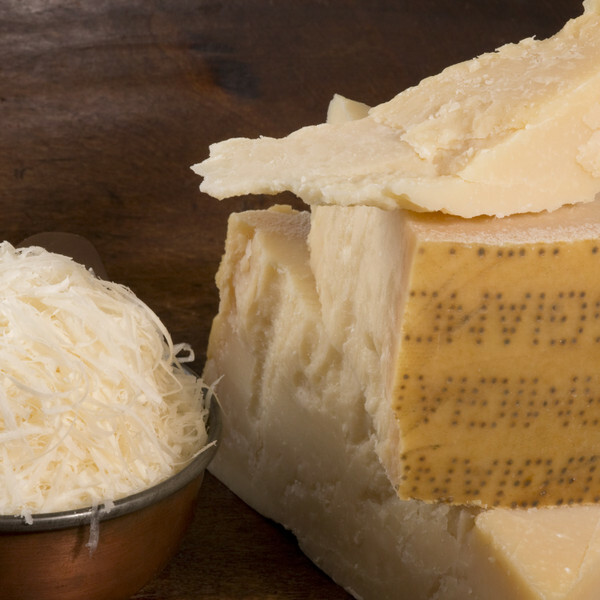 When you add a couple of pieces of parm rind to the heavenly mixture, you will find that it adds a bit of its natural saltiness and flavor that you would not get if you just added salt. The heat allows an aroma and flavor to be extracted from the rind to create a whole new experience. Like the rinds on cheese, bones make up a part of your total purchase when you buy meat, and it may seem like another item you’ve wasted money on. Once again, it helps to look to the past to figure out what to do with it. When families in the rural parts of Italy would raise a pig, it had to last them for many months. They prepared it in a variety of ways, cured meats like prosciutto and coppa, and fresh meats like pork chops and tenderloin. 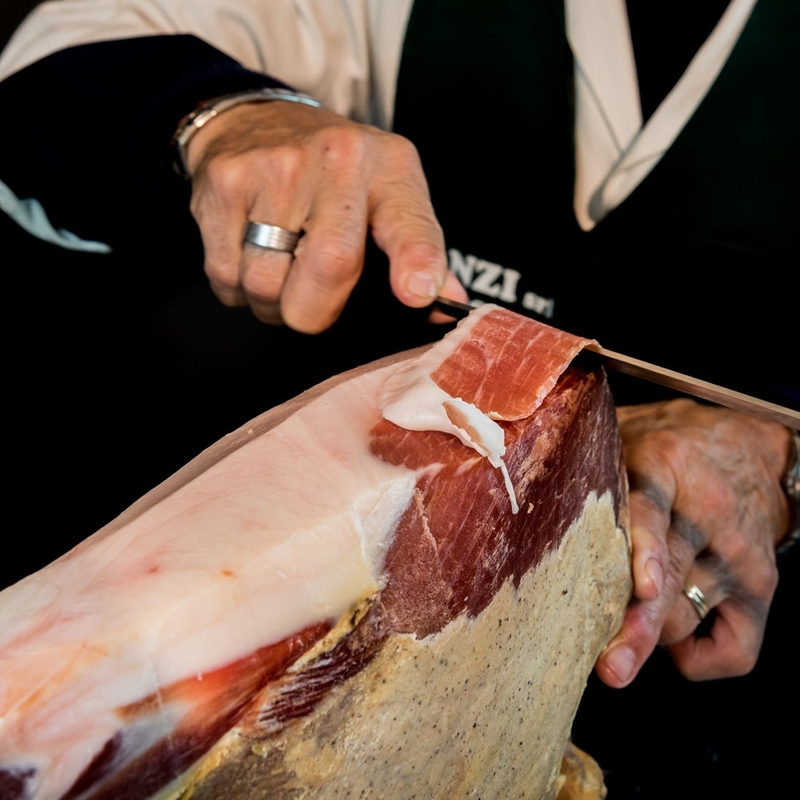 Only so much of the animal is meat, so at the end, you are left with bones, such as a bone from a leg of prosciutto. Like the rind on a parm wheel, the flavor of these sorts of bones are coaxed out through heat. Adding it to a pot of stewing minestrone soup, for instance, will add a bit of savory delight to an already incredible meal. Like the sauce, the hot stew will take on the flavors of the bone that would otherwise go undiscovered. 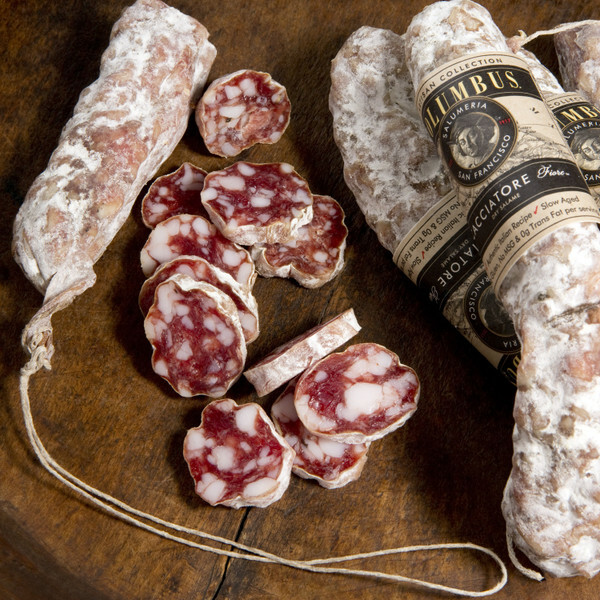 At the end of a salami or sopressata chub is always a small amount of meat that you can no longer slice or just doesn’t get gobbled up. Don’t throw those pieces of flavor out! We like to chop these ends into small cubes, then add them to pastas, on top of pizzas, or throw them into another Italian favorite: Antipasto Salad. 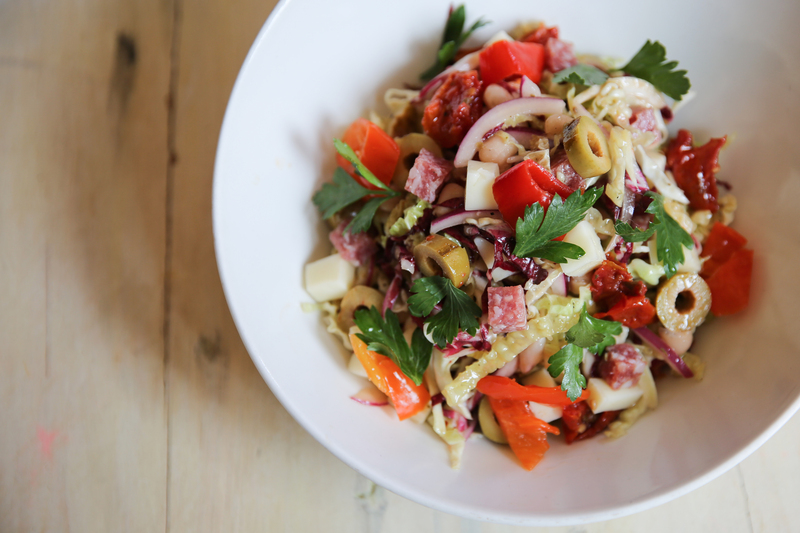 Spicy, meaty, colorful — this is a salad that equal parts satisfying and delicious, and takes up the Italian American food mantra that “More is Better”. In a world which is more and more concerned about waste and stretching your dollar to its fullest, these methods may come in handy. Unlike the old days when many of these practices came from necessity, we have the opportunity to choose to do something delicious with these “less popular” items. These are just a few examples of what to do with these products, so feel free to use your imagination. 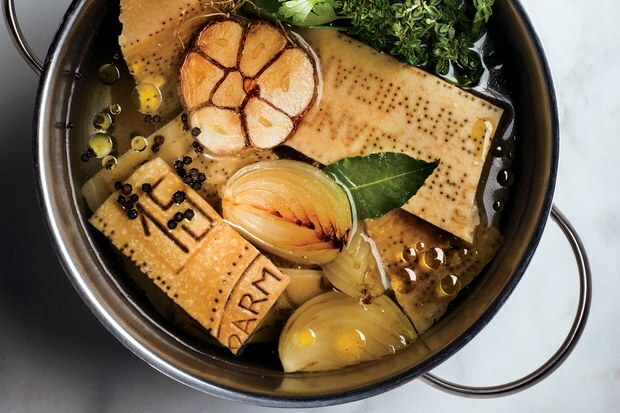 The next time you get to the rind of a hunk of Parm or the end of a salami chub, think about those who came before you, and make them proud by adding these pieces to your next culinary masterpiece instead of the waste basket.